HARTFORD (AP) - A porch collapsed at a Connecticut home, sending over a dozen people to the hospital. Approximately 20 people were on a second-floor balcony in Hartford Saturday night when the floor gave way. Police said some had head injuries and lacerations. Some have left the hospital since Saturday night. 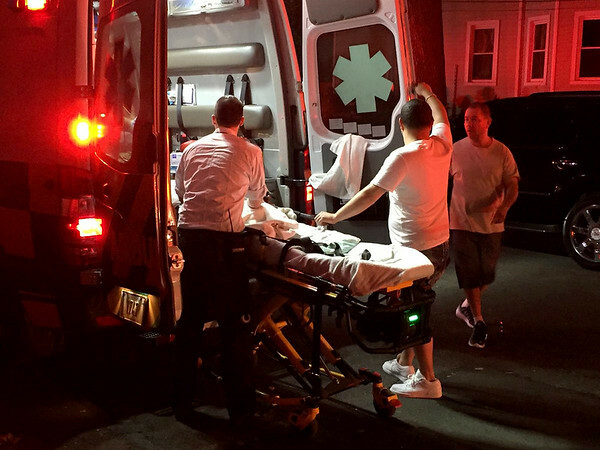 A Hartford fire official told NBC Connecticut one of the first patients transported to the hospital was an infant. Personnel from the Fire Marshal’s Office and Hartford Licenses and Inspection deemed the structure to be habitable following an inspection. The cause of the collapse is under investigation. Posted in New Britain Herald, State on Sunday, 8 July 2018 20:37. Updated: Sunday, 8 July 2018 20:39.